Heard a grinding, groaning, whining, or creaking sound out of your vehicle while taking a turn? Time to consider the problem! 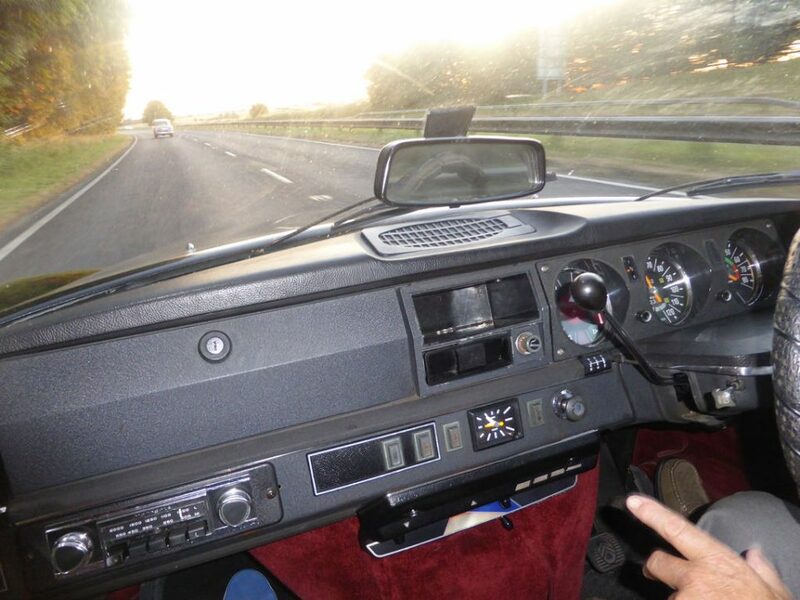 Under normal circumstances, a well fit vehicle doesn’t make any sort of noise while turning. It runs smoothly. However, if your vehicle is making any sort of noise while turning, it surely has some serious reason that is supposed to be fixed. Vehicles often make different sort of annoying noises when turning them. Since turning a vehicle involves the operation of many internal parts. It is understood that the noises are aroused due to miss management of these internal components. Whenever a car is coming up with any sort of unusual noise while you steer it around on the road, it is essential to look into the problem to seize it from getting worst. However, immediate lubrication may help to control it temporarily but it is best to look into the issue as soon as possible and visit a technician to know the cause and fi it. This article explains some of the most common causes of these unusual noises. A car has multiple reasons for producing annoying voices while turning. These merely depend on the speed of the vehicle. If your car is making any sort of noise while turning at low speed, you must look into your power steering for the reason behind it. The suspension joints get damaged after a while because they bear the entire weight of the car along with the bumps experienced. These worn out joints causes the connecting parts to scratch over each other that tends to be the possible reason behind these noises. Concerning the noises produced at high speed, when a vehicle makes any sort of noise while taking a turn at high speed, the reason behind it belongs to bearings, CV joints, or differentials. Usually, a vehicle is deemed to produce a crunching or clicking sort of noises while turning, the only reason behind such disturbance is the CV joints with poor coupling. However, if there is any sort of humming noise, the reason can lie with the bearings being an overload of the weight of the car. Moreover, cars on normal speed are also often seen making squealing, whining, and screeching sort of noises. Looking for the possible reasons, a damaged power steering seems to be the most possible reason behind it. Among many reasons behind unusual noises coming out of your cars while you turn them, worn out struts and shocks occupy the first place. 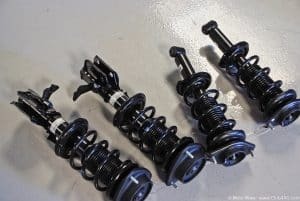 If you notice any sort of noise coming out of your car while turning it anyway along with bumping or bouncing, it is a major possibility that your struts and shocks are no longer in good working condition. Though they may last a long time as soon as they lose their life, one must replace them for safety purpose. Dry jounce bushing tends to be another prime reason behind such noises. The jounce bushing located on the front strut of your car gets dry and barren after some time and produces groaning and creaking sort of sounds as soon as you turn your steering on either side. This problem can be fixed by consulting a technician or lubricating. Sometimes you may experience whining sort of sounds coming out your car while turning on low speed. This is usually due to a bad belt, bad power steering rack or van pump. Tie rods are another reason for creaking and clunking sort of noises being produced from your car as soon as you turn it. Tie rods are a very important part of the car. These are the connecting rods between the steering wheel and a steering rack that are responsible for implementing the effect of your turn to the tires. These rods may rust out or turn into poor condition after some time that may result in knocking noises. These sounds are most recognizable at low speed. Dry ball joints are the joints that are responsible for joining steering knuckles to the other suspension components of the steering kit to assist the vehicle in motion. These joints are supposed to be lubricated after every few months otherwise they become rough and harsh while turning and produces creaking noises. This sound increases with the passage of time. Hence, one should look into the issue as soon as possible. If you are residing in hot weather, you may usually hear a loud rubbing sort of sound as if the plastic is being rubbed against a harsh platform. This is because the hot weather causes some components to expand that causes the upper plastic bearing to rub and stroke against the cowling present on the steering column. Power steering fluid leakage tends to be another prime reason behind unusual sound production while driving. This is because power steering systems use a special fluid that flows from the reservoir to the steering box and rack and is responsible to lubricate it for smoothing motion suspension. Sometimes, this fluid is found leaking on its track that causes an unusual sound to come up while you turn around. Poor suspension bushings also cause annoying and unusual sounds to come out of your cars while you turn them around. Similar to all other bushings, suspensions bushings tend to lose their life after some time and they are often found torn, crack, and completely broken. This causes tires to produce creaking noises on turning. Maintaining a car in good condition is not as easy as it sounds. Whenever your car is coming up with any sort of unusual sound while turning that you haven’t heard before, it is best to consult a mechanic to exact locate the issue. However, it is obvious that if the car is making sounds while turning, the problem lies somewhere within the suspension or steering system. One can deal with it by lubricating at first, but it is best to show it up to your mechanic for fixing the problem completely.